Our premium Luvable Friends layette collection features 100% combed cotton interlock for the softest touch on your baby's gentle skin. 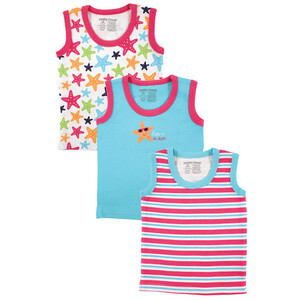 Our sleeveless tee tops are ideal for everyday use, and the seasonal design helps keep baby comfortable in warm temperatures. 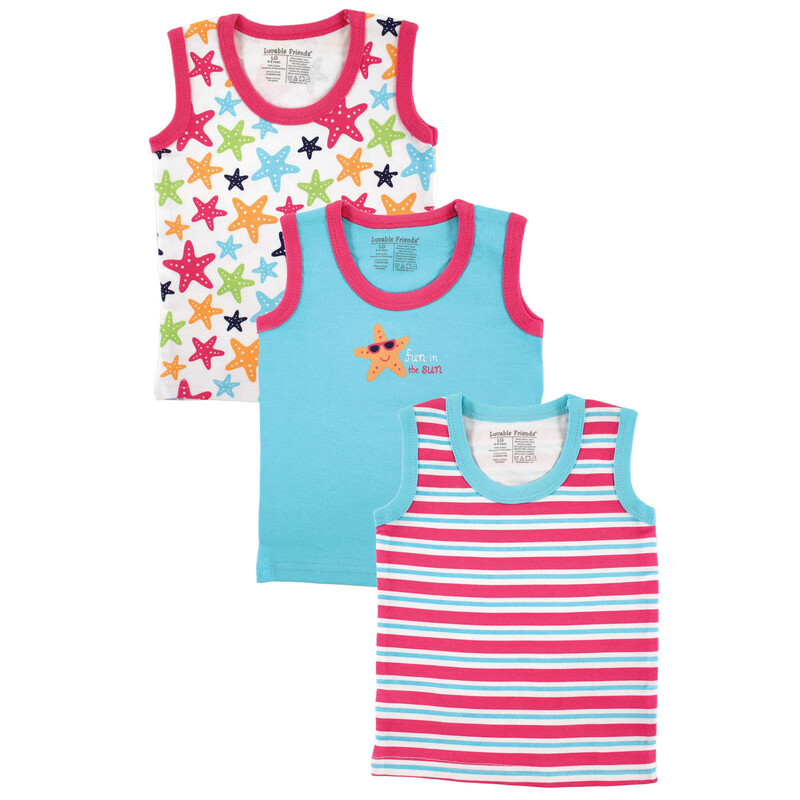 Assorted with 3 prints with one solid and fits up to 12 months. 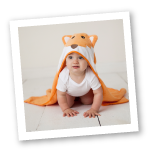 Printed care label instead of woven means greater comfort for your little one!